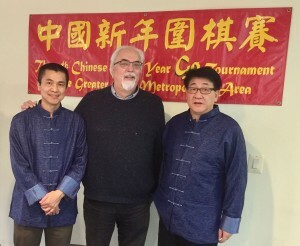 This Saturday, February 16 is the annual tournament celebrating the Lunar New Year. “This is always a great event with prizes sponsored by the Chinese cultural community of the DC area,” says the National Go Center’s Gurujeet Khalsa. This will be a 4-round AGA rated event. Doors open at 8:30 AM.